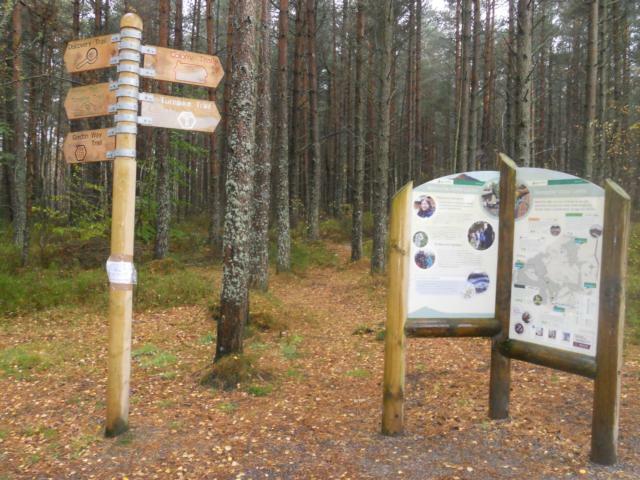 Bennachie is the best known hill range in North East Scotland and is a popular destination for local people in nearby Inverurie, Oldmeldrum and Kintore, as well as for visitors from Aberdeen and further afield. 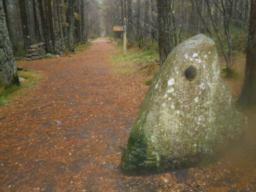 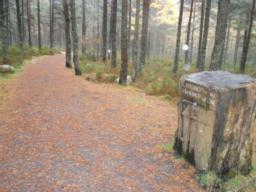 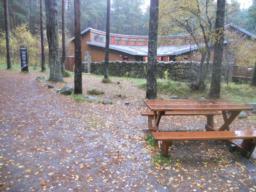 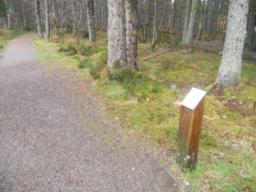 The main visitor hub is located at the Bennachie Visitor Centre (GR NJ 698216) at the eastern foot of the range. 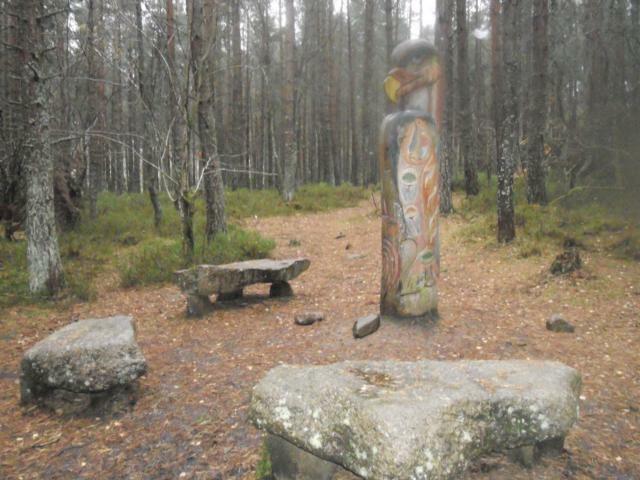 The Discovery Trail contains a few gradients that some visitors may find a little difficult and rest areas are positioned in the car park and in an area that contains an interesting Totem Pole, at the end of the trail. 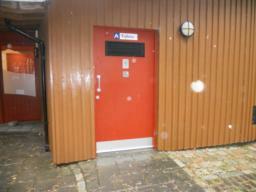 Toilets: Accessible toilets are available at the Benncahie Visitors Centre. 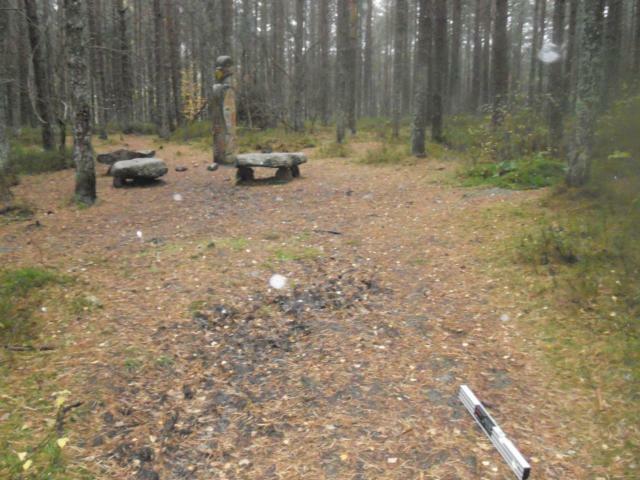 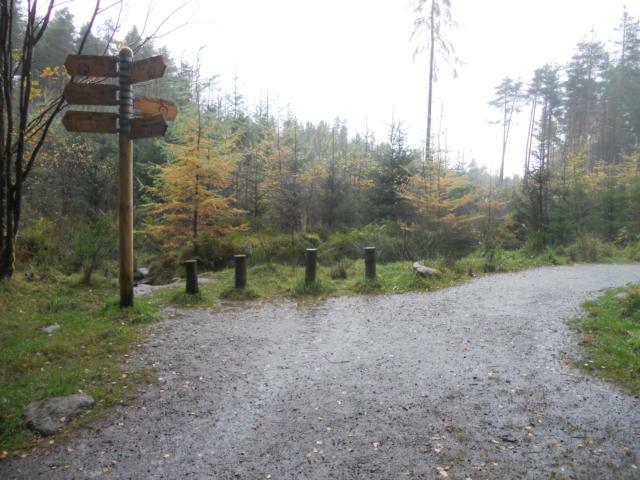 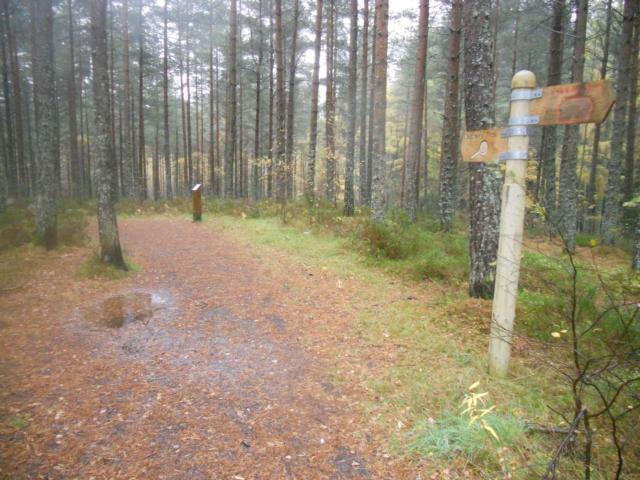 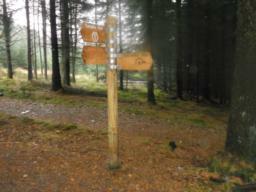 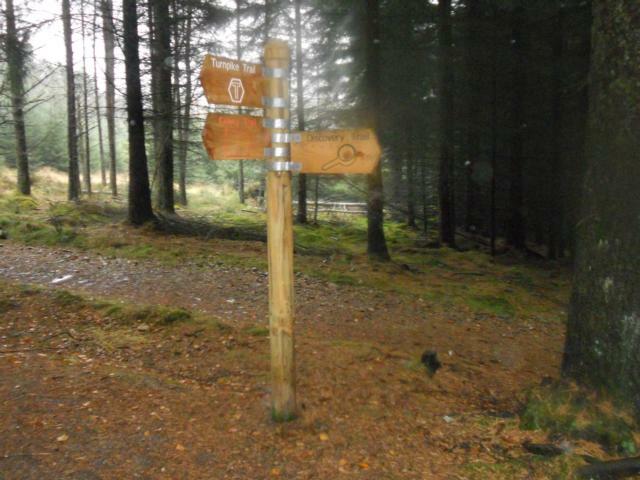 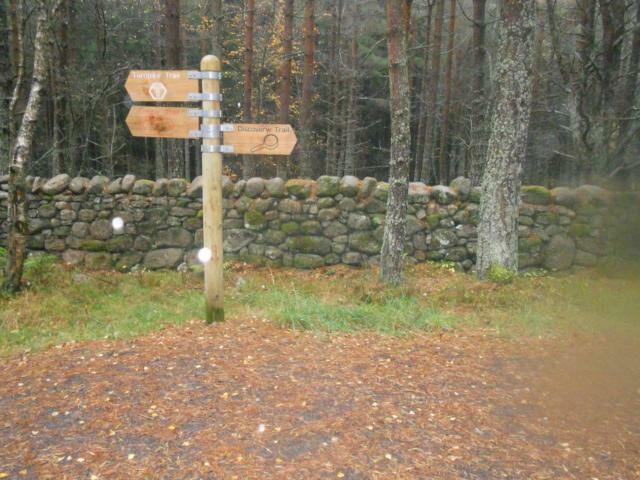 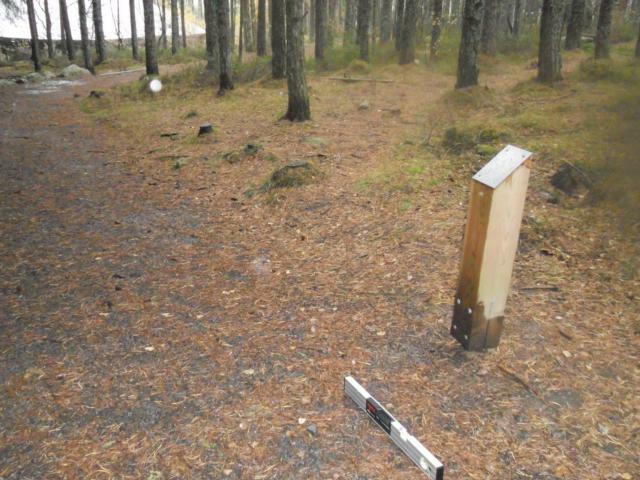 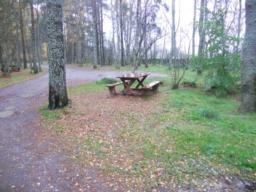 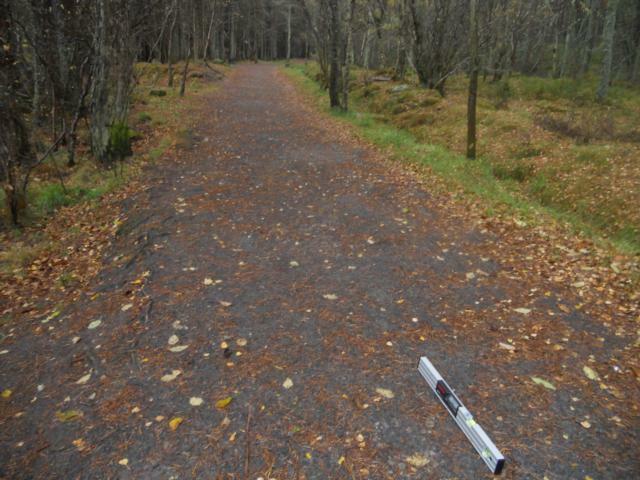 There are four car parks that allow access to Bennachie, most of which have toilet facilities and designated picnic areas. 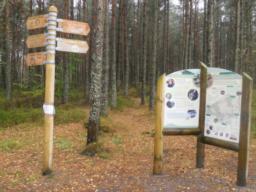 The main visitor hub is located at the Bennachie Visitor Centre (GR NJ 698216) at the eastern foot of the range. 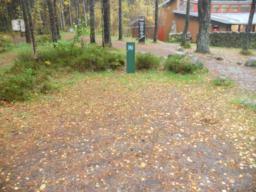 There are approximately 70 car parking spaces in addition to two parking spaces allocated to visitors with disabilities. These are clearly signed but do not have any boundary marking. Parking is located close to the Visitor Centre. 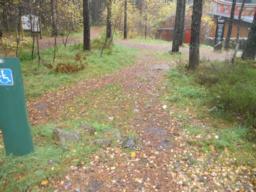 Encroaching vegetation and boulders placed along the edges of the parking bays had caused a narrowing of available path width. 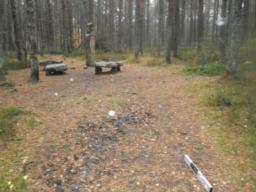 A number of short 'desire lines' lead from disabled parking bays to the Visitors Centre. 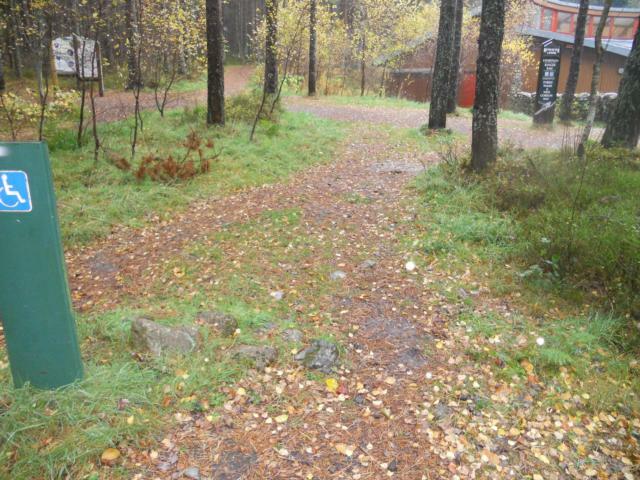 There is slight uphill gradient here. 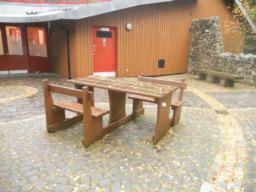 The entrance way into the Visitors Centre is wide enough to allow wheelchair access. 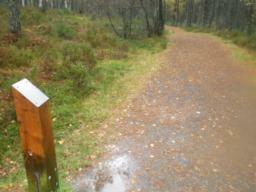 The Discovery Centre Trail is clearly signed. 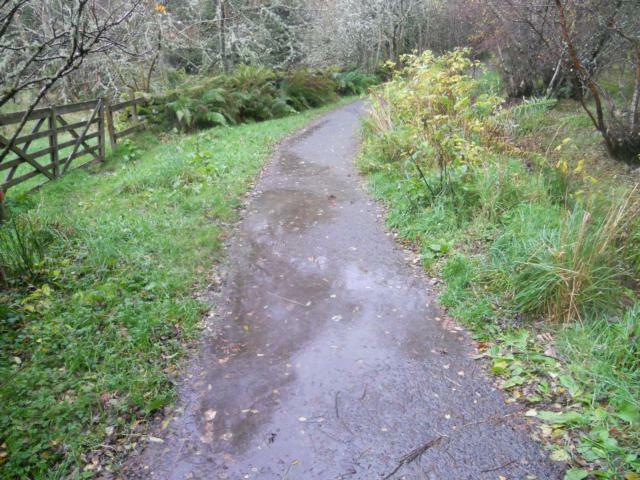 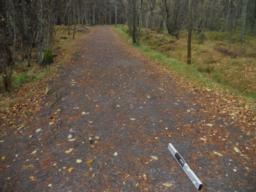 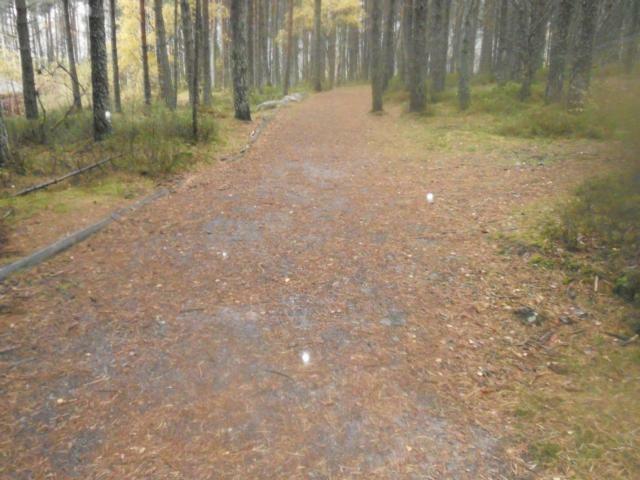 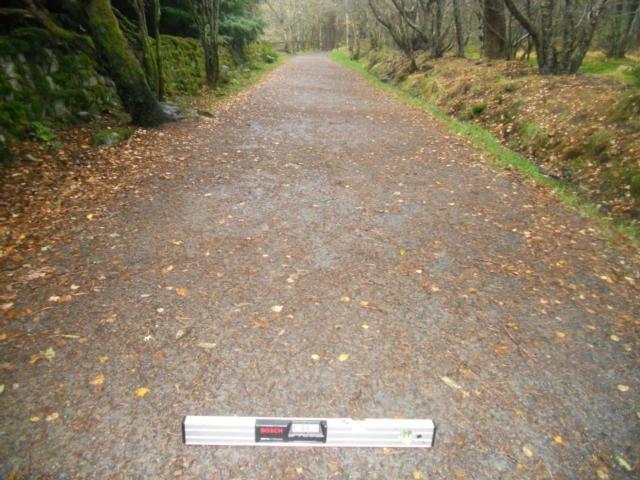 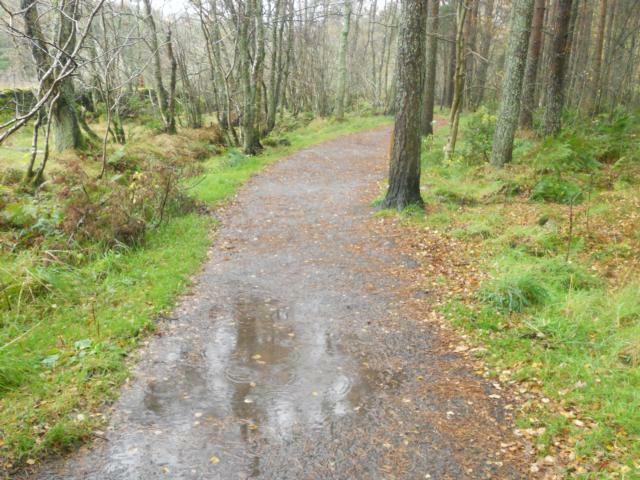 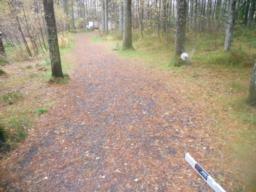 Surface water may accumulate on the path during periods of wet weather. 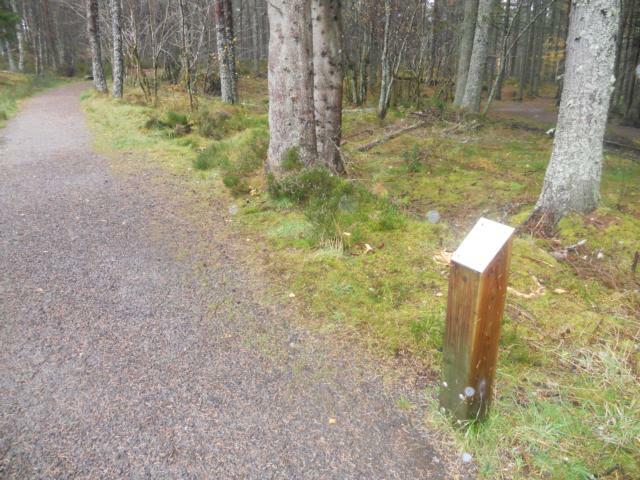 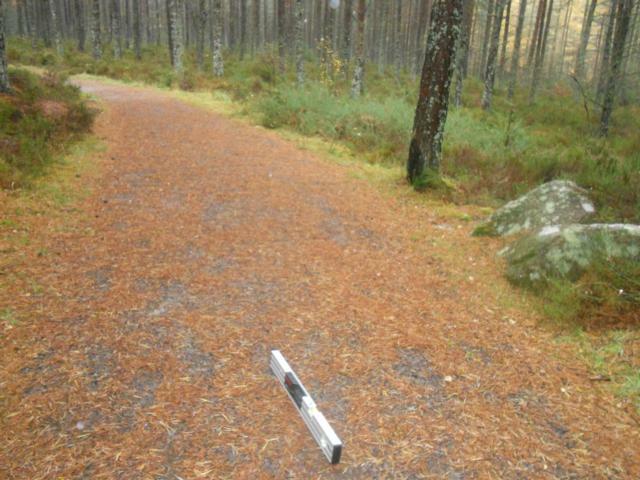 Children will enjoy using the 'rubbing posts' along the trail. 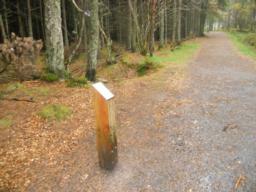 These feature raised outlines of various woodland animals. 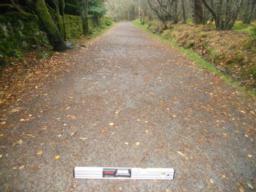 The path continues along a wide and mostly flat gradient. 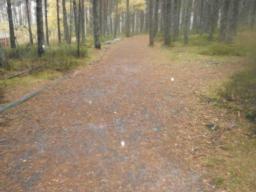 The first gradients encoutered were cross falls. 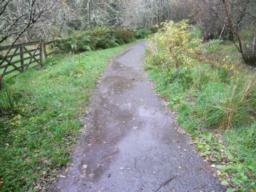 Wheelchair users may require assistance in these areas. The linear gradient begins to steepen slightly. 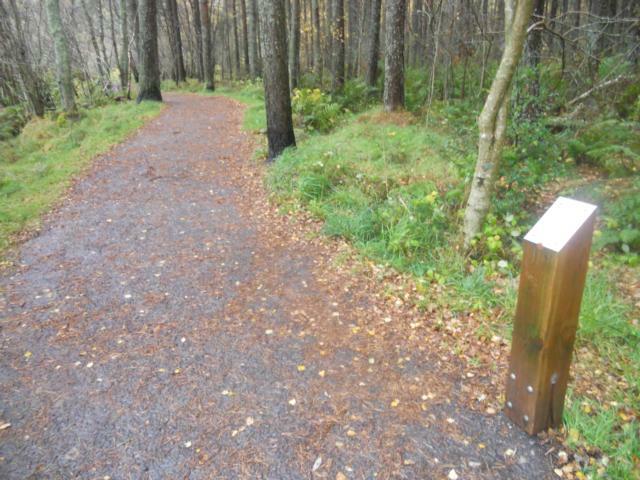 The Discovery Trail contains linear gradients that may restrict people with disabilities. 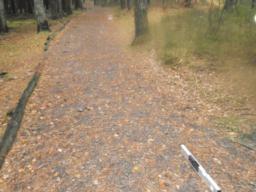 The gradient along this part of the trail averaged 10% and there were no rest points along this section. 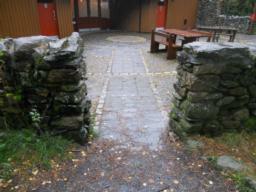 No physical man-made barriers, such as steps, gates or walls were found to restrict access along the Discovery Trail. 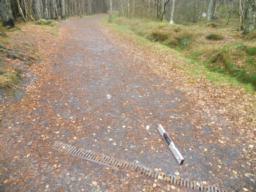 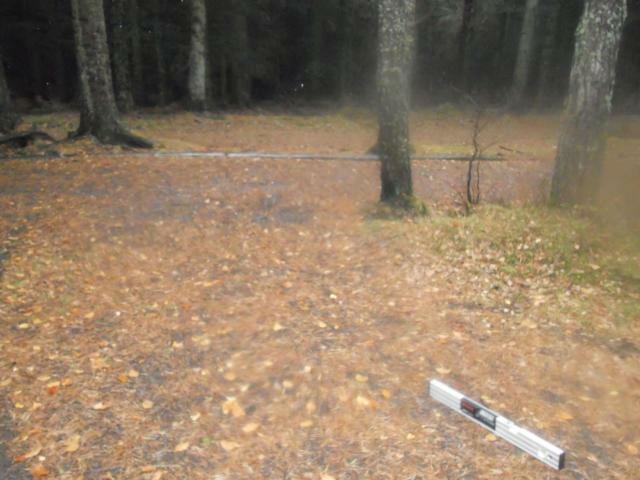 Surface breaks, in the form of rain-drains occurred across the path but present no significant barrier to access. From here, the wider path network can be explored. 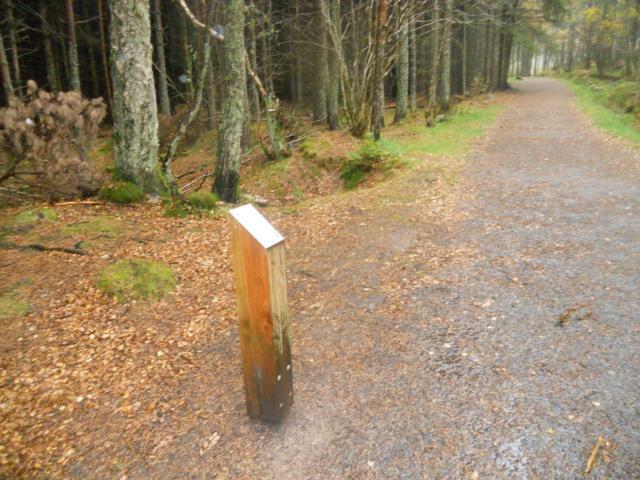 To stay on the Discovery Trail, bear right. 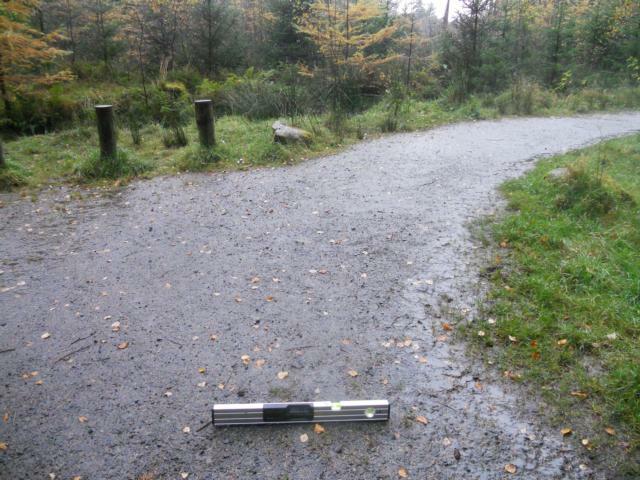 The gradient is particularly noticeable at path intersections and where there were sudden change in path direction. Another finger post directs to a path on the left to the old croft. To stay on the Discovery Trail continue straight-on. The path descends on a moderate gradient. 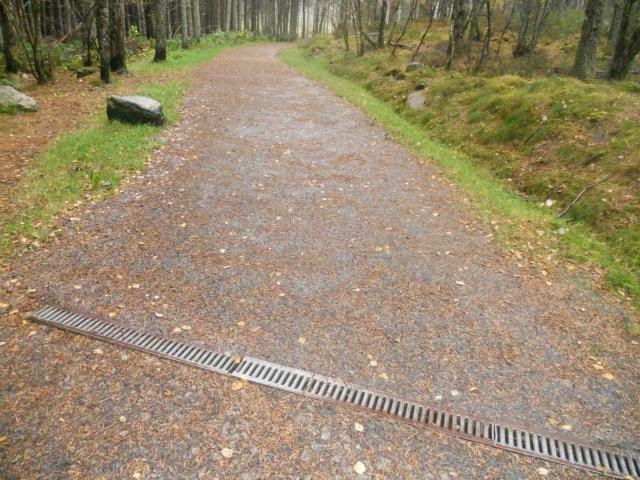 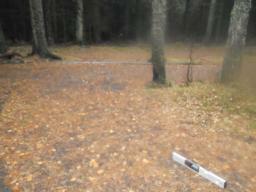 The path leading back down to the Visitors Centre contained a 7% linear gradient. An interesting seating area is situated at the end of the trail. Natural stone from around the site has been used to create a rest area. 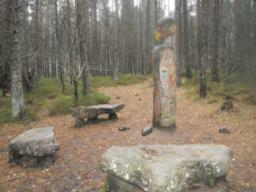 These are situated around a Totem Pole. 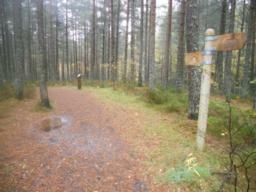 The path descends gently down to the start point.